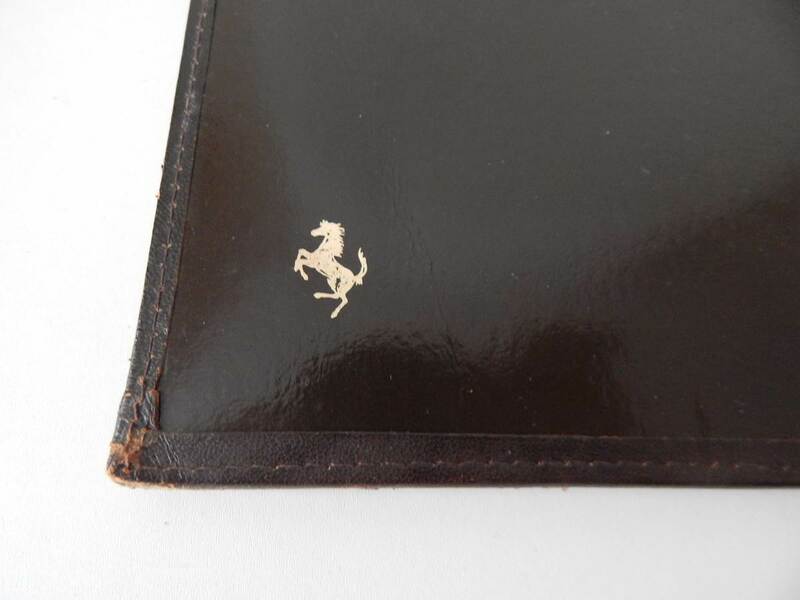 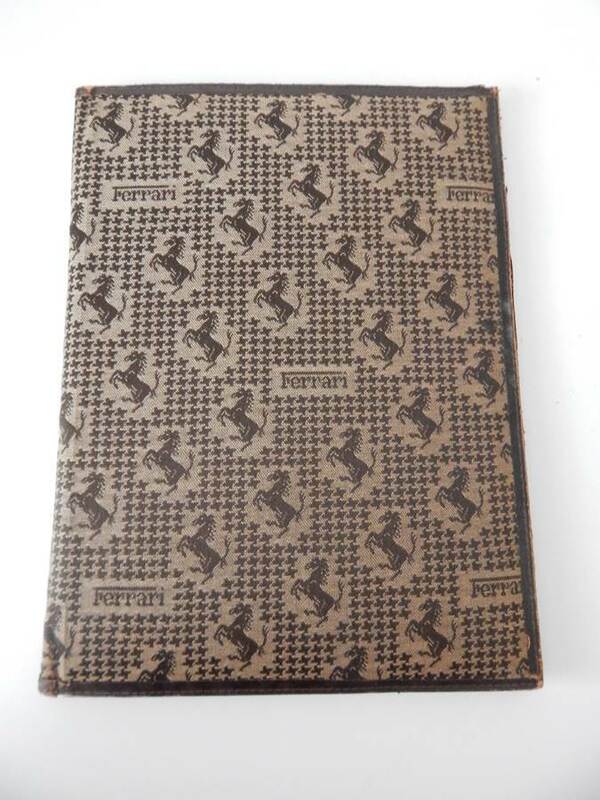 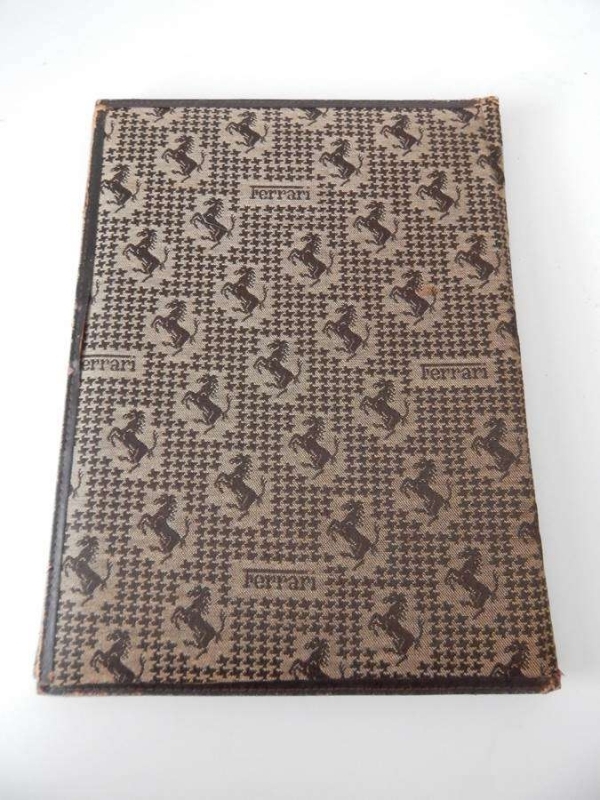 Original Ferrari 1970/80s document wallet/organiser, with a Cavallino print. 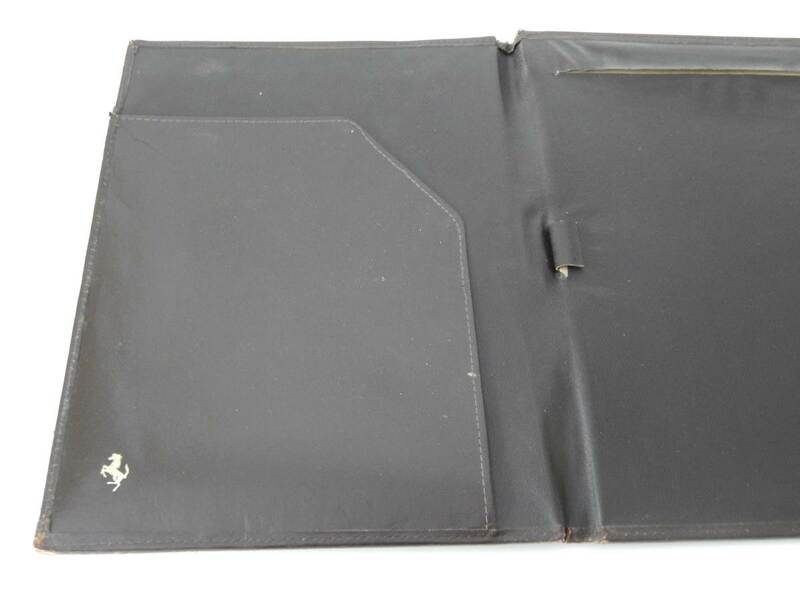 In very good condition, this lovely document wallet/organiser is perfect for any Ferrari enthusiast, and could be used for note taking or even storing your cars documents in. An extremely rare piece, and not to be confused with the document wallets that came with the cars, this piece is much more rare! 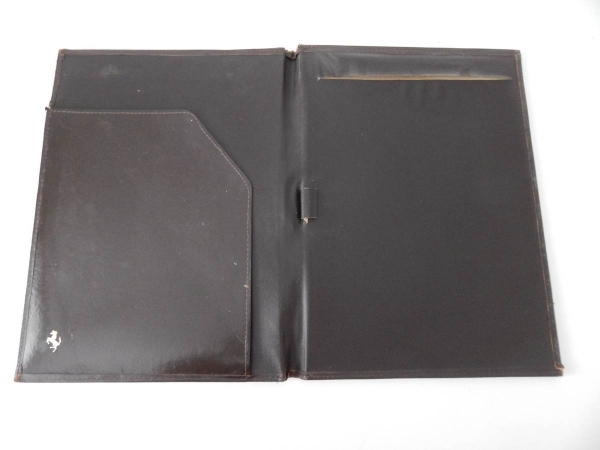 Photos are of the actual item you will receive. More photos can be sent upon request.